HAYS, Kan. (August 13, 2015) Erin Hobbs, LMSW, recently attained American Case Management Association’s (ACMA) Accredited Case Manager (ACM) certification. The ACMA is accredited by the National Commission for Certifying Agencies (NCCA). The NCCA is the accrediting body of the Institute for Credentialing Excellence (ICE) and has accredited more than 200 certification programs. The ACM Certification is designed specifically for health care delivery system case management professionals and tests core case management knowledge that is shared by nurse and social work case managers, as well as competency in the individual skills of each professional background. 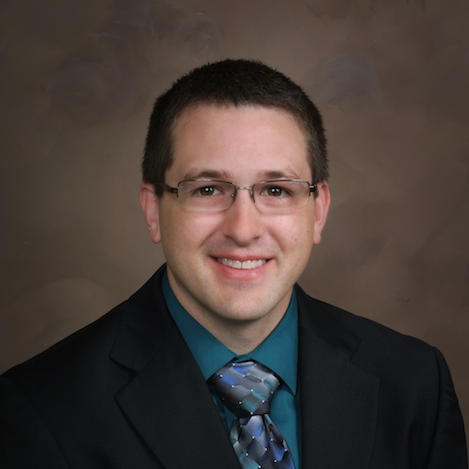 (Hays, Kansas – August 10, 2015) – Kevin Krogstad, pharmacist at HaysMed, has completed the board certifications from the Board of Pharmacy Specialties (BPS). Krogstad successfully completed the pharmacotherapy exam. The BPS certification program recognizes appropriate pharmacy practice specialties based on criteria established by the Board of Pharmacy Specialties; Establishes standards for certification and recertification of pharmacists in recognized pharmacy practice specialties; Grants qualified pharmacists certification and recertification in recognized pharmacy practice specialties; Serves as a coordinating agency and informational clearinghouse for organizations and pharmacists in recognized pharmacy practice specialties; and enhances public/consumer protection by developing effective certification programs for specialty practices in pharmacy. Krogstad has been an Associate of HaysMed for four and a half years and works in the Pharmacy Department. Hays, KS, August 10, 2015 – Hays Medical Center welcomes four new physicians to their medical staff. Drs. Michael Albrecht, Jerod Grove, Arbin Katwal and Derek Yarmer began their duties August 1. Albrecht, who specializes in internal medicine, is a native of Herington, Kansas and is working at Medical Specialists. He completed medical school at the University of Kansas School of Medicine, Wichita. He also completed an internal medicine residency at the University of Colorado in Denver. Medicine in Kansas City. Grove is originally from Dodge City. Katwal, is seeing patients at HaysMed Debakey Heart Institute and is an interventional cardiologist. He completed medical school at B.P. Koirala Institute of Health Sciences, Dharan, Nepal. He completed an internal medicine residency at Palmetto Health, University of South Carolina in Columbia and fellowships in general cardiology at the University of Virginia in Charlottesville and interventional cardiology at Loyola University medical Center in Maywood, Illinois. He is board certified in general cardiology, nuclear cardiology, adult echocardiography and internal medicine. Yarmer is an native of Albert, Kansas and will be working in the Emergency Department. He completed medical school at the Unviersity of Kansas School of Medicine, Kansas City and an emergency medicine residency at the University of Missouri-Kansas City. Hays, KS, August 5, 2015 – Hays Medical Center has received the Gold Level “Breastfeeding Employees Support Award” from the Kansas Breastfeeding Coalition and its Business Case for Breastfeeding program. The award is based on proven and established standards to benefit employers and employees. It recognizes businesses that provide support services to their breastfeeding employees, to include education as well as the time and space for employees to nurse and/or pump breastmilk at their workplace. The award, the top ranking of three sponsored by the Coalition, was presented by Brenda Bandy, director of the Business Case for Breastfeeding program in Kansas. According to Bandy, the Hays Medical Center received the award for achieving a high level of support to their employees as outlined in the Coalition’s criteria. She said they provide a “gold level” pumping room, allow flexible time to pump, and have instituted a policy of breastfeeding support. Pointing out that many breastfeeding mothers abandon breastfeeding when they return to work because they lack the support and appropriate facilities at their place of employment, Bandy said, “We want to help change that unfortunate situation”. She cited research showing that adequate support for breastfeeding employees benefits businesses through savings in health care expenses, reduced turnover rates, lower absenteeism, and increased employee loyalty. Employers that have established support services for breastfeeding employees have reported a $3 for $1 return on investment plus realizing a more productive working environment. “Many Kansas employers recognize the benefits of supporting their breastfeeding employees. We want to shine the spotlight on as many employers as we can for doing their part to make returning to work while breastfeeding easier in hopes that will encourage more businesses to follow suit,” says Martha Hagen, a Kansas WIC state breastfeeding coordinator and Kansas Breastfeeding Coalition Board Chair. Businesses that provide support services for their breastfeeding employees can be considered for a “Breastfeeding Employees Support Award” at the bronze, silver and gold levels. Applications are available at http://www.kansasbusinesscase.com/for_employers/employer_awards . The Business Case for Breastfeeding is a program to assist employers in developing or enhancing support services for their breastfeeding employees. The Kansas Breastfeeding Coalition is a non-profit 501(c) 3 with the mission of working collaboratively to promote and protect breastfeeding in order to improve the health of Kansas families. Hays, Kansas (Aug 3, 2015) – The next session of Coffee and Conversation will be held Wednesday, August 12, at the Hays Orthopedic Lobby, 2500 Canterbury Drive, Hays Kansas. Participants are asked to use the West Entrance. Registration is FREE but August 10.